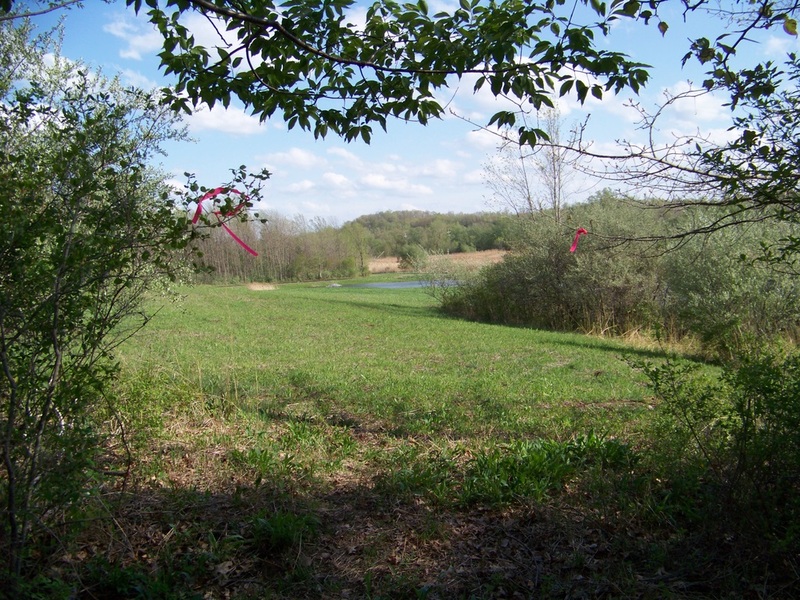 This is a short feeder trail from the Fishers Landing Shopping Center on NY Route 96 into Lehigh Crossing Park, the Lehigh and Trolley Trails. It is blazed in yellow. There is a .1-mile shortcut that saves .1-mile blazed in red. The red section is 4-foot wide boardwalk, new in November 12. This is thanks to VHT volunteers and a crew from the DiMarco Group, and was made possible through a generous donation of funds as well as manpower by the DiMarco Group. 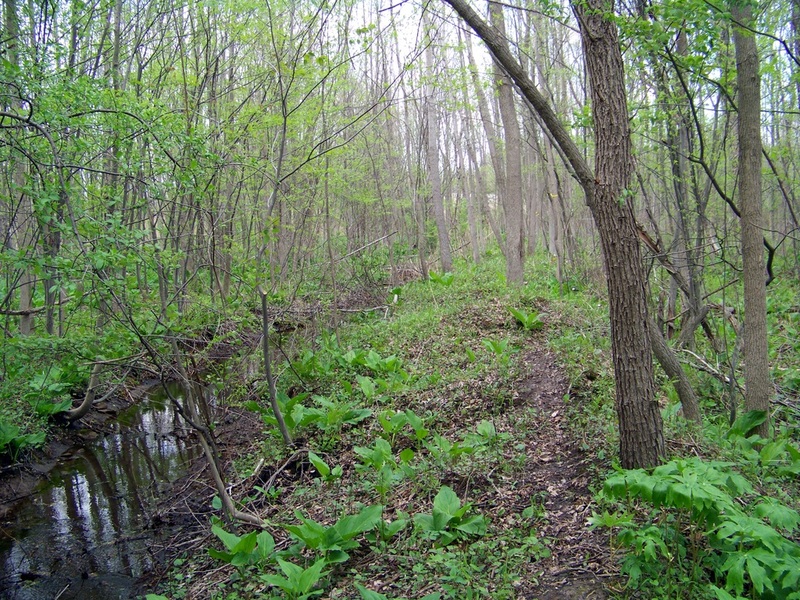 The yellow branch is a narrow walking trail mostly in the woods. A long section of it had a boardwalk added in July '16 thanks to a Girl Scout Gold Badge project with help and funds from the DiMarco Group. It still can have muddy spots after rain. In places it goes along the top of a dike formed when a drainage canal was dug a long time ago, maybe when the Lehigh Railroad was built in the 1890s. The northern end is Fishers Landing Shopping Center. There is parking available. The trail leaves the rear parking lot at the west end and enters the woods. A short ways into the woods, there is a division. 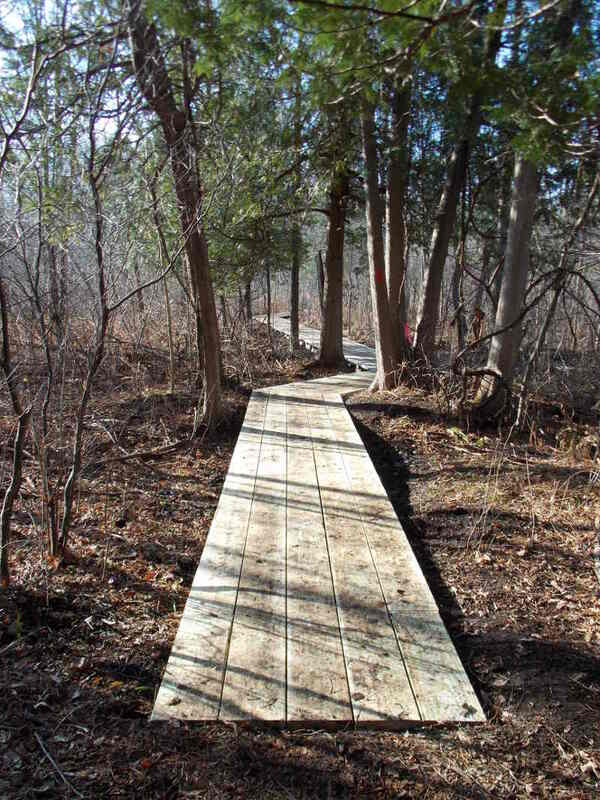 The red blazed boardwalk to the left, the yellow blazed longer trail to the right. The yellow loop has some low spots that can be muddy after it rains. For a ways it is on top of a dike alongside a drainage canal. The two branches come back together just before crossing the Lehigh Trail. South of the Lehigh is more woods, but drier. Then an open meadow as the trail goes down a gentle hill to a boardwalk & low bridge built as a Boy Scout Eagle Project in fall '15 to meet the Trolley Trail at the park service driveway. To the east, via the driveway, is the park's parking lot. 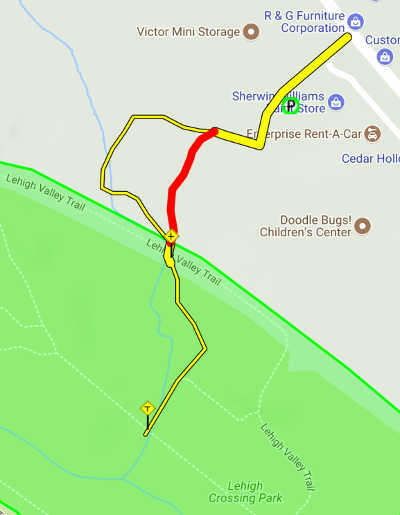 Additional work and grading on the yellow loop is planned as funds and volunteer labor are available. On the dike -- Yellow Loop. Coming into the meadow by the pond.